A specially formulated poultice compound designed to safely and effectively extract set-in oil stains from natural stone, grout and concrete surfaces. Removes Set-in Oil Stains Leaves no Residue Will Not Discolor Stone Easy to Use ..
A concentrated, professional strength acidic cleaner formulated specifically for cleaning and restoring natural stone, tile and grout. 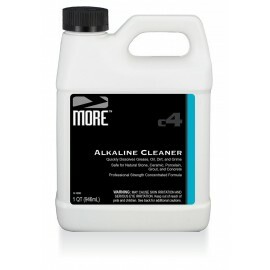 Removes cement-based grout haze, efflorescence and mineral deposits. Use ONLY on non-acid sensitive surfaces. 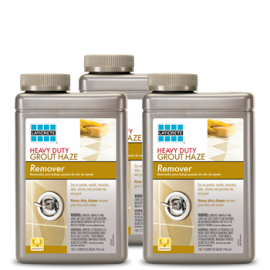 Safely Removes Grout Haze, Efflouresc..
A concentrated, professional strength alkaline cleaner formulated specifically for cleaning and restoring natural stone, tile and grout and concrete. 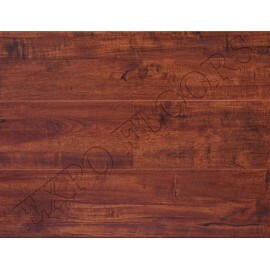 Safely removes grease, oil and ground in dirt an grime from floors, counters and other high traffic areas. Dissolves Grease, Oil, Dirt and..
A professional strength stripper formulated specifically for use on natural stone, tile and concrete. Sagely and effectively dissolves tough topical coatings including epoxy and urethane grout haze, paint and adhesives. 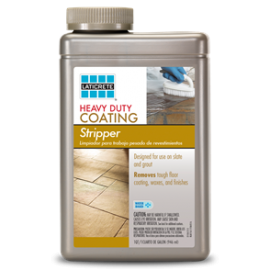 Removes Epoxy and Urethane Grout Haze, Paint and Adhesives Safe fo..
A penetrating natural-look stone sealer that provides excellent stain protection. Water-Based Easy to Use MORE™ Grout, Ceramic & Porcelain Sealer $ 20.59 Size16ozQuartGallon &..
A high-gloss sealer that highlights the color, texture and unique character of natural stone and concrete surfaces. 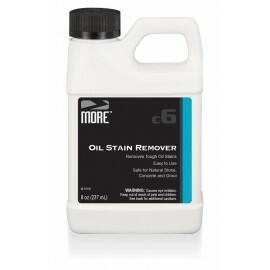 Provides excellent stain protection. High Gloss Shine Excellent Stain Protection Indoor & Outdoor Use Water-Based ..